Lehmann, C., Summers, J. and Frank, T. (2014). 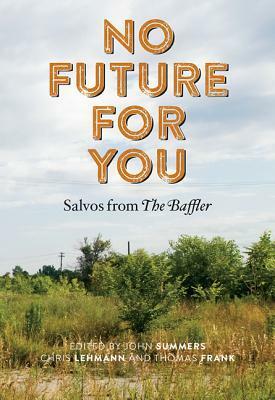 No Future for You: Salvos from the Baffler. Mit Press. Mit Press, 2014. 377 pages. an expose of a direct mail scam targeting to conservative voters. fascinating, if not super relevant to me. also on mitt romney. SO GOOD. solid inspo for my logic piece.